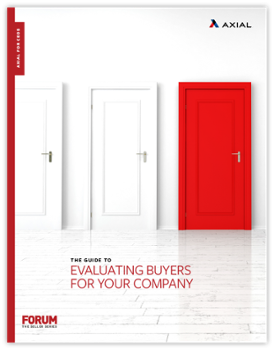 So you’ve decided to sell your company… Now you need an exit plan. There is a reason it’s called “exit planning” and not simply “exiting” – the steps involved in determining how to ultimately leave the company you’ve built require careful thought, deliberate consideration, and plenty of time. A good place to start is often with the end in mind. By identifying the ideal outcome of your exit, you will be able to determine the best partner for the transition.